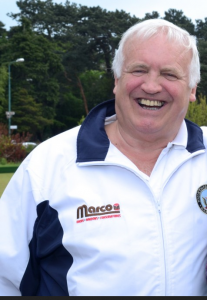 Geoff has been involved in the local Bowls scene since 1990, when he started playing bowls after purchasing a hotel immediately opposite Knyveton Gardens Bowls Club in Bournemouth. He served as an active Committee member at the Bowls Club, going on to serve as an Officer with the Bournemouth and District Bowling Association. He was for several years involved with the running of the Bournemouth Open Bowls Tournament. After retiring from the hotel industry Geoff was invited to join the local newspaper, the Bournemouth Echo, as Bowls correspondent and reports on the local Ladies’ and Men’s Bowls leagues. Geoff joined Bowlaway in 2005 as Fixture Co-ordinator, and remains committed to arranging the best possible itineraries for Bowling Clubs on Tour in the Bournemouth and District area.